The unrivalled beauty of a genuine wood floor. With all the benefits – a great look, warm feel, authentic ambience – and none of the drawbacks. Authentic Embossed laminates create the true look and feel of wooden flooring yet are extremely durable, moisture-proof and easy to clean. 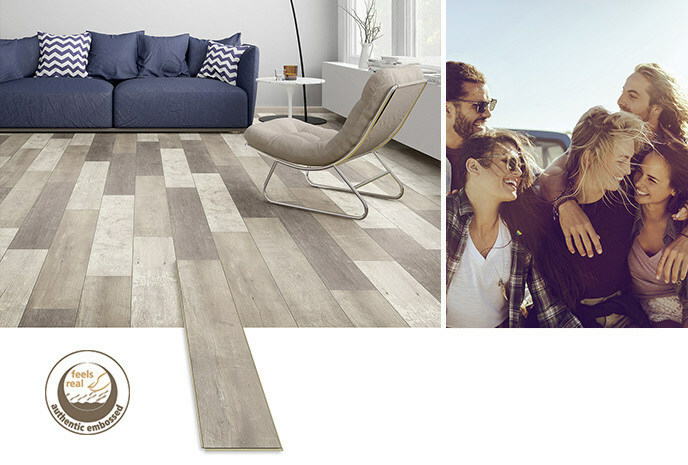 Combining perfectly reproduced surface features with the added convenience of high-quality laminate, the Authentic Embossed collection beautifully adds the welcoming look and feel of wood to any room.